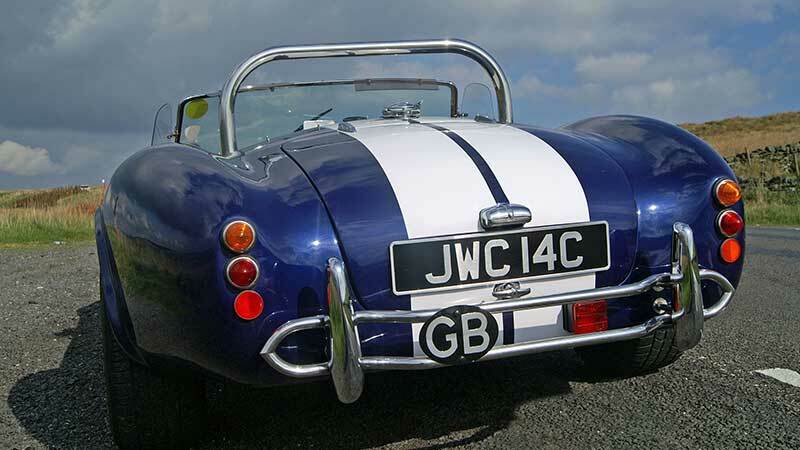 An AC Cobra Hire gives you the chance to drive the classic sports car of your dreams. It has the raucous sound of a tuned V8, the proper V8 burble when it’s ticking over, and the striking looks and power of an exciting and legendary classic sports car. You’ll enjoy an exhilarating driving experience behind the wheel of this iconic car as you thunder round Yorkshires’ amazing driving roads. Just watch the heads turn. Buy a classic car hire gift token for that special person and they’ll be thrilled. Its undeniable wow factor also makes our Cobra a popular self-drive wedding car. 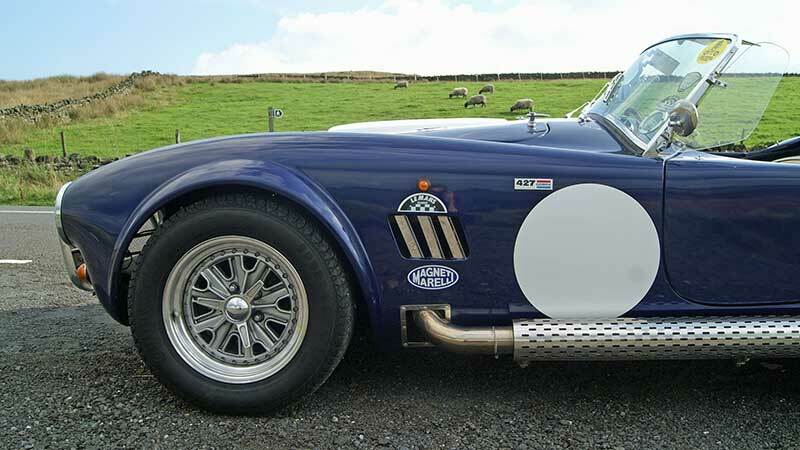 With its stainless steel side exhausts, full chromework, Halibrand style wheels and racing roundels, the AC Cobra for hire in Yorkshire is an awesome automobile. It has a 3.5 litre Rover engine, Holley 4 barrel carburettor, Offenhauser inlet manifold and 4 into 1 exhausts. Finished in dark blue with the classic double white stripe, cream leather interior and blue piping, this is a beautiful car that attracts much admiration. It comes with a hood and side screens in case of wet weather, but is generally driven with the top down. The Cobra we have for hire is a replica. There were only about 1,000 AC Cobras ever made, so originals are very rare, sought after and priced accordingly. You are unlikely to get to drive a real one unless you win the lottery! Our AC Cobra isn’t insured for track days, you can only hire it for the road. In the early 1960s famous American racing driver and Le Mans winner Carroll Shelby was inspired to build a car that would beat the Ferraris and Corvettes in North American and European racing. In particular he wanted a car to win the Le Mans 24 hours, the most famous sports car race in the world. He looked for a car to base his project on and saw the AC Ace, a British sports car with aluminum body, ladder frame chassis and Ford Zephyr 2600 cc engine. 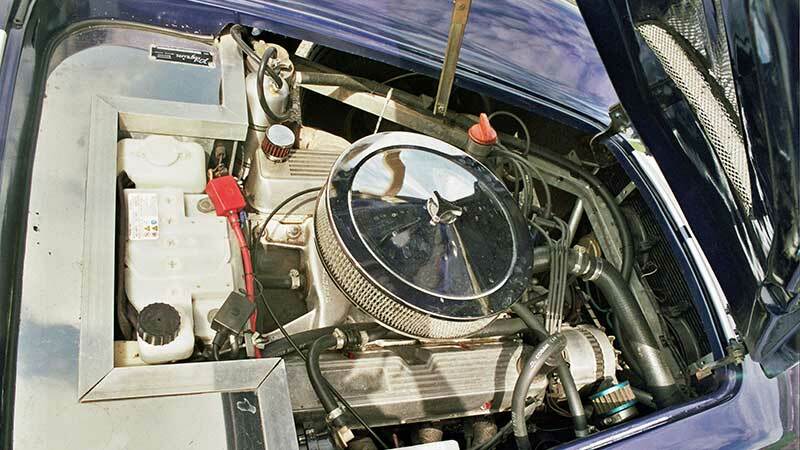 Ford of America joined the project by supplying a Ford 289 ci V8 which AC fitted to the Ace without too much difficulty, and the Cobra was born. Whilst the AC Cobra wasn’t a terribly sophisticated car when compared with cars like Ferrari or Porsche, the formula certainly worked in US racing. The Cobra dominated the American USRRC series, only losing one race in 3 years. 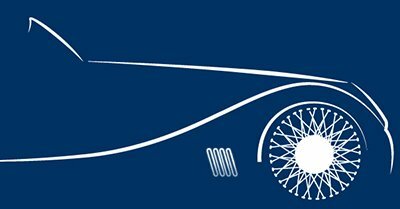 In European racing speeds were higher and aerodynamics were more important and it took a little longer to become successful. During the 1960’s the Mulsanne straight at Le Mans was an 8 mile long straight, so 200mph was the norm. The first time the Cobra went there they found that because of it’s aerodynamics (or lack of them), when they got to 160 mph the rear wheels lifted off the ground. The drivers complained about it, not because it was unbelievably dangerous, but having the rear wheels in the air limited top speed and they couldn’t go fast enough! Perhaps health and safety was different in those days. 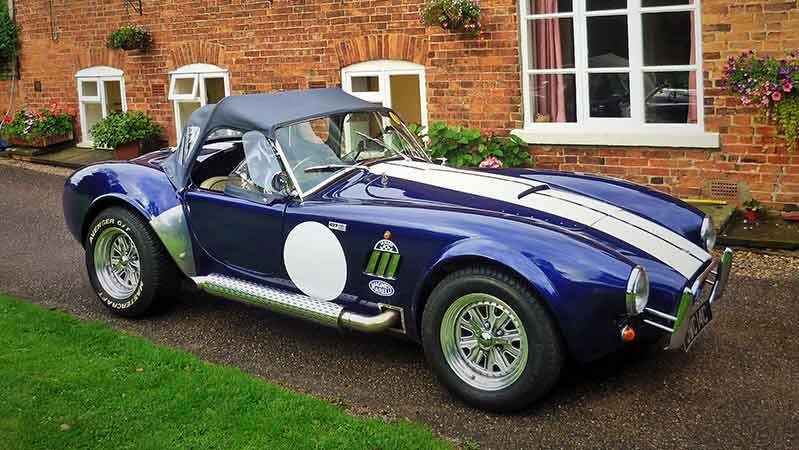 The solution was the coupe version which won Le Mans in 1965 and the FIA GT series in 1966, achieving Carroll Shelby’s original plan of winning European racing for America. Like many other motor racing stories, despite being one of most iconic and distinctive cars ever made, it was not successful financially. The AC Cobra was produced for six years, between 1961 and 1967, for both race track and the road, before moving into legend. 3.5 litre V8 engine, mildly tuned with a Holley 4 barrel carburettor, Offenhauser inlet manifold and 4 into 1 exhausts. 2 door, 2 seater soft top. Boot is a good size for this type of car, but is still on the small side. No space behind seats. Dark blue with cream leather upholstery and blue piping. Manual hood with side screens. Radio, but the exhaust sounds so much better! Our AC Cobra hire car is available for collection in Keighley, West Yorkshire, not far from Skipton, the ‘Gateway to the Dales’. Our location is within easy reach of all the major towns and cities in the north of England. 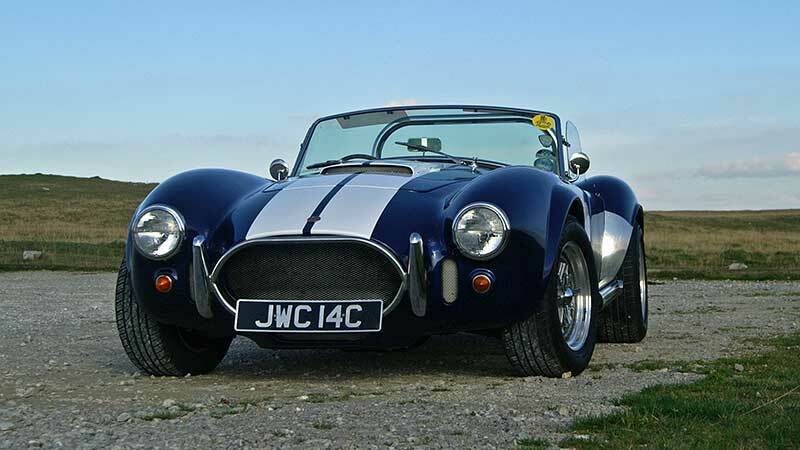 We are in an ideal location for AC Cobra Hire Leeds, Bradford, Halifax and Huddersfield. 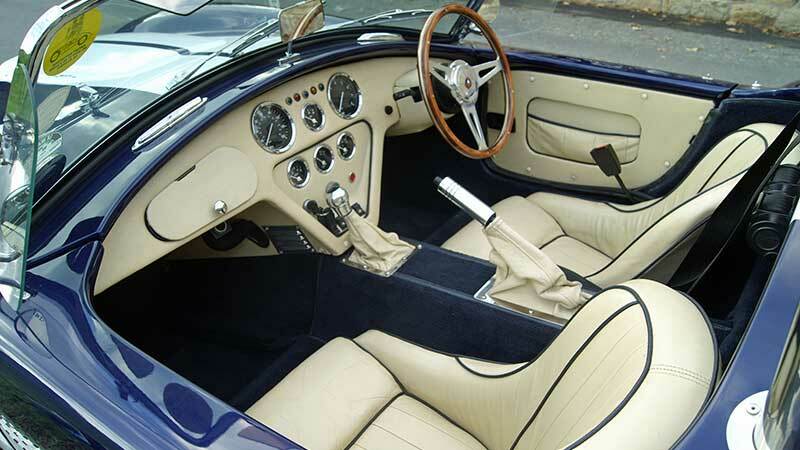 For AC Cobra hire Preston, Blackburn, and Burnley, Lancashire, you don’t have too far to travel either. We are within an hour’s drive of most of the towns in Lancashire via the M65 or A59. 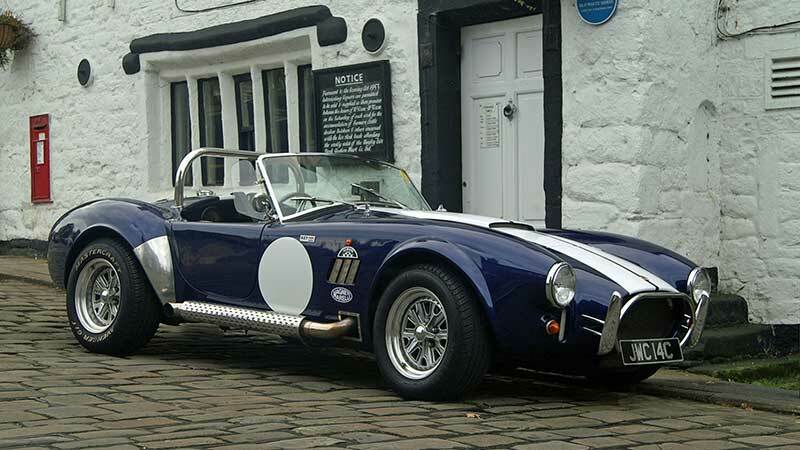 Manchester AC Cobra hire is within 50 miles of our Keighley base. Once you’ve collected it you can drive our AC Cobra hire car anywhere in the UK subject to our terms and conditions.